We covered superheroes and hobbits and physicists (oh my! ), but we’ve yet to discuss one of the most obsession-inducing television shows ever: LOST. 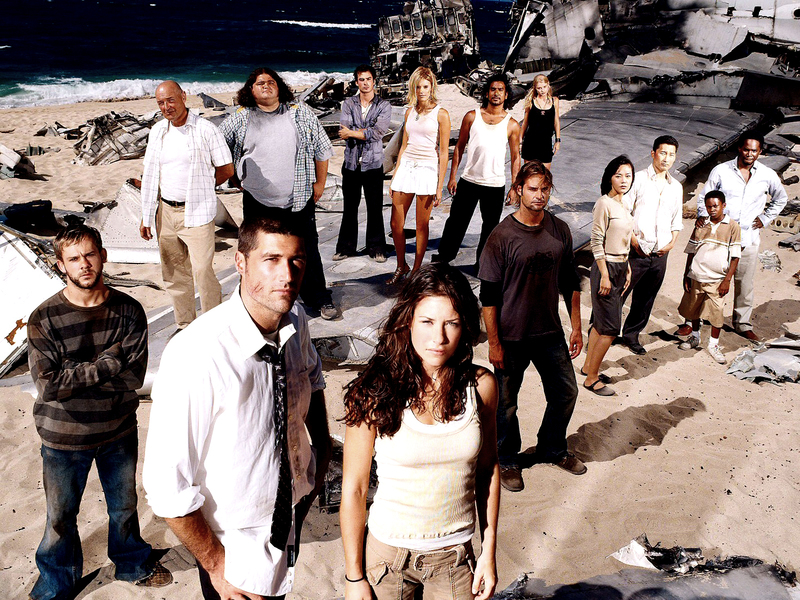 For six seasons, this program about a group of survivors stranded on a mysterious island after a plane crash kept viewers on the edge of their seats and spawned a new generation of TV conspiracy theorists. I’d argue that no other show has ever inspired such staggering amounts of hyper-vigilant rewinding and compulsive re-watching of episodes among fans. For more Geek Chic, check out previous posts on Avengers-inspired fashion, Sailor Moon-inspired fashion, BBC’s Sherlock-inspired fashion, Doctor Who-inspired fashion (plus part 2 and part 3), Star Wars-inspired fashion, The Hunger Games-inspired fashion, The Lord of the Rings-inspired fashion, The Big Bang Theory-inspired fashion, and Star Trek-inspired fashion! I’m not even going to try to explain the show’s mythology here, not only because it would take forever, but also because the only way to do it justice is to watch! Let’s just say that Lost involves everything from a set of cursed numbers to an eyeliner-wearing dude who doesn’t age, to a polar bear, to a homicidal smoke monster, to an invincible one-eyed Soviet soldier, to imaginary peanut butter to drug lords posing as priests, to a really cute golden retriever. And if that doesn’t make you want to watch, I really don’t know what will. Although the show narrative was very serialized, each episode tended to center around one or two characters. Since character development was somewhat limited due to the island setting, episodes almost always employed flashbacks to further explore characters’ stories. Lost, which ran from 2004-2010 on ABC, was created by JJ Abrams, Damon Lindelof, and Jeff Lieber, and was run by head writers Lindelof and Carlton Cuse. Hope you’re ready for some tropical weather, because we’re about to get lost! Oceanic Flight 815 was a trans-pacific flight going from Sydney, Australia, to Los Angeles, California. At the time of the crash, which was caused by a freak electromagnetic storm, the plane was over 1,000 miles off course, making search efforts nearly impossible. The survivors come from all walks of life: Jack, the de facto leader, is a spinal surgeon bringing his father’s body home to LA. Kate’s a fugitive, Sawyer’s a con man, Locke’s a paraplegic trying to find meaning in life, Charlie’s a has-been rock star addicted to heroin, Sun and Jin are a Korean couple with serious marital issues, Sayid’s a former Iraqi interrogator…you get the idea. Since they’ve only got what they were wearing on the flight and what they’ve scavenged from the wreckage, the survivors aren’t exactly going for high fashion. (Plus, there’s that whole stranded-on-an-island thing.) Nevertheless, the common theme seems to be jeans and lightweight layers. While I suppose it might be bad juju to wear a Lost-inspired outfit while traveling by air, this layered ensemble would actually be ideal for a spring/summer flight. Plane cabins always seem to be either scorching hot or absolutely freezing. Toss a mid-weight camp shirt on over a thin tank; that way, you can just remove or add a layer depending on the temperature in the cabin. Comfy boyfriend jeans will keep your legs protected from the scratchy seats. Huarache sandals are super cute and beach-appropriate: look for a pair with a zipper on the back for easy removal as you go through security. The mysterious “Others”, as the survivors call them, are a group of people who inhabit the Island. There’s no telling how long they’ve been there or how they got there, but they do make one thing clear: the Island is theirs. Led by Ben Linus, who gets his orders from a mysterious figure named Jacob, the Others know the Island better than anyone else. Their hobbies include attending book clubs and spying on intruders; for the latter activity, they favor natural fibers like linen and cotton in hues that let them blend into the jungle. 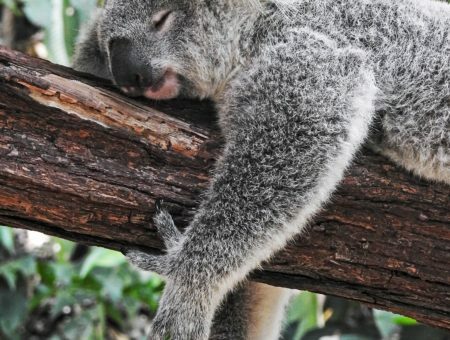 Planning on creeping through the jungle to spy on some Oceanic Flight 815 survivors? Or do you just want to look nice during a summer lunch date? Either way, this outfit inspired by the mysterious Others has got you covered. The Dharma Initiative was a research organization that revolved around fringe science. Created in 1970, the Initiative experimented with subjects like meteorology, psychology, zoology, and electromagnetism. Although Dharma is no longer an active organization, the remnants of many of their scientific experiments remain on the island. Since the Initiative was founded in the 1970s, add some flower power with a bright floral bib necklace that’s also a fun play on a Hawaiian lei. Punch it up with bright turquoise shoes and a bold clutch. Namaste! Played magnificently by the Hawaiian island of Oahu, the Island might seem like an odd source of inspiration, but anyone who’s watched Lost can attest that the Island itself should definitely be considered a character. It’s as far from an ordinary place as you can get. Not only does the Island move, it’s got its fair share of fun surprises, which includes a smoke monster and mysterious whispers in the jungle. Yet the Island also seems to have miraculous curing powers: passenger John Locke, who was previously paralyzed from the waist down, mysteriously regained his ability to walk after the plane crash. Supernatural shenanigans notwithstanding, the Island is really quite beautiful. Channel that natural splendor with a bold floral print top (spring 2012 trend alert!) and forest-green trousers, both of which are lightweight pieces you could easily slip on after a day at the beach. Multi-colored wedges will add spring to your step, while cute pig earrings reference the wild boar that inhabit the jungle. A smoky eye is a fun reference to the Island’s resident smoke monster. An eye pendant alludes to the opening shot of the pilot episode, as well as Locke’s famous quote, “I looked into the eye of this Island, and what I saw was beautiful.” In hindsight, we should all take a moment to question Locke’s judgment, but it’s no wonder that he found this tropical hideaway so entrancing. In the final season of Lost, the whole driving force behind the plane crash was revealed: the epic clash between immortal Island inhabitants Jacob and his brother, the Man in Black, led not only to the arrival of Oceanic Flight 815 on the Island, but also to the presence of certain passengers on the flight. Dualism is a major theme of Lost, and it’s definitely manifested in these sparring siblings, who represent a dichotomy of good and evil. While I don’t want to disclose too much information, I think an appreciation of these two brothers’ minimalist color choices could hardly be considered a spoiler! Black and white is a perpetually chic color combination. Pair a white linen tank with a black jersey maxi skirt for a breezy look that can easily take you from the classroom to the beach. Simple sandals and stone jewelry in black and white keep the ensemble interesting. Would you wear these looks? Did you watch Lost? Do you miss those good ol’ days of shocking character deaths and agonizing cliffhangers? Have you ever played 4, 8, 15, 16, 23, 42 in the lotto? What other geeky inspirations would you like to see? (Next time, we’ll once again be going to that galaxy far, far away for some queenly inspiration!) Let me know in the comments!